Why care about diabetes diet information? First, diabetes is epidemic with more than 30 million Americans estimated to have diabetes, with 86 million suffering metabolic syndrome, a condition which puts one at serious risk for getting diabetes down the line. Worldwide, diabetes stats show it is on the rise. For more on the latest diabetic statistics, press here. What’s Diabetes? In a nutshell, diabetes is when the sugar circulating in your blood is too high for your own good. Fortunately, diabetes diet information can help lower these levels either alone or with the help of exercise, drugs and insulin. Second, diabetes is a risk factor for more than half of the top 15 causes of death according to US government statistics including heart disease, cancer, stroke, Alzheimer's, kidney disease liver disease, hypertension and, of course, diabetes. No wonder diabetes diet information is important for all of us. Why is Diabetes Diet Information important? Diabetes raises your risk for cardiovascular disease sky high. 68% of diabetics die of heart disease or stroke. Diabetes diet information is essential for those wanting to lower their risk of heart disease. The good news is that, with some dietary and lifestyle measures, you can prevent, delay and stop, if not reverse, the progression of diabetic symptoms. Diet and lifestyle can help with and without diabetes drugs and supplemental insulin. Many who have been diagnosed with diabetes have improved symptoms and reduced, if not nixed, the need for insulin and/or diabetes drugs. Dietary change can improve symptoms quickly - within weeks, if not days. For this reason, if you have been diagnosed with diabetes or pre-diabetes, inform your doctor you are making dietary and lifestyle changes so that she can calibrate your drug and insulin intake, if needed. 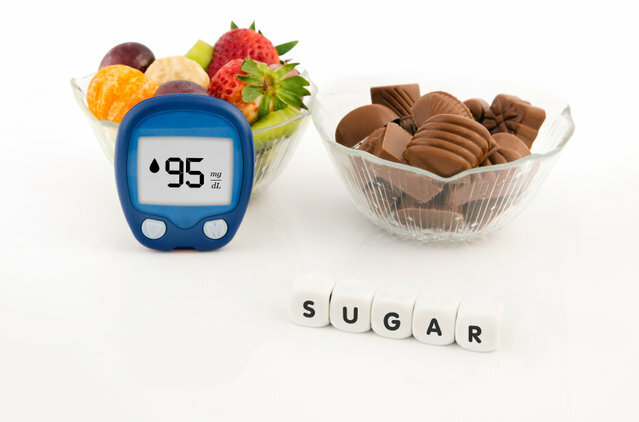 The less often blood sugars strays from the normal range, the better your prognosis; whether you control your sugar levels by diet or a combination of drugs, insulin and/or diet and exercise. Metformin has been used for decades and, as well as effectively lowering glucose levels, has been found to lower overall mortality. Apparently it tricks your body into thinking it has exercised. Metformin side effects include gastrointestinal upset and poor Vitamin B12 and folate absorption. If taking Metformin, make sure you get enough B12 and folate through diet or supplements. The key with diet and food choices is to make ones that prevent or resolve diabetes or blood sugar problems before these conditions cause irreversible damage. At whatever stage of the diabetes trip you may be on – whether in the waiting room with ticket purchased; or rolling down the track with increasing speed; diet and lifestyle changes can slow, if not halt the train. The best case is to make sure it doesn’t get out the station. Diabetes diet information is essential. Avoid refined carbohydrate foods especially those with added sugars and fiber-depleted grains like white flour. Focus on consuming low glycemic foods that have minimal effect on blood sugar. Press here to read more about achieving a low glycemic diet and selecting low glycemic foods. Eat enough fiber rich foods found in plants like fruits, vegetables, whole grains, legumes, nuts and seeds. Beta glucans found in oats are particularly beneficial. Press here for more about the importance of fiber. Exercise regularly including strength training to improve insulin sensitivity and transfer of glucose from blood into muscle. Maintain a healthy weight because obesity and overweight contribute to metabolic problems like insulin resistance, which can lead to diabetes. Press here to read more about diet and insulin resistance and metabolic syndrome. Eat regularly but not to excess- Several nutrient-rich snack-like meals may be better for controlling blood sugar swings than one or two large meals per day. Don’t use this as an excuse to consume more calories than needed or to eat so often your blood sugar remains chronically raised. Eat healthy fats and nix unhealthy fats including trans fats and damaged fats like rancid grains, nuts and seeds; and commercial oils produced by excess heat and harsh chemical processes. Ensure you get enough Omega 3 oils from fish, nuts or seeds. Press here to read more about the benefits of healthy fats including Omega 3s. Avoid beverages with concentrated natural or added sugars including soda and fruit juice. Instead eat the whole fruit with fiber and nutrients intact. Keep alcohol to a minimum as it may overwhelm the liver and lead to metabolic dysfunction that can contribute to blood sugar problems. Avoid too much cortisol and epinephrine-spiking stress or stimulants like caffeine - Release of stress hormones prompt release of glycogen that raise blood sugar, even if you haven’t eaten. Despite this, coffee is maybe a good thing. Because both caffeinated and decaffeinated versions are associated with lower diabetes risk. Press here to read about how diet and lifestyle can help your stress response in an article about adrenal health and diet. Eat an anti-inflammatory diet chock-a-block with anti-oxidant rich foods. These are normally low glycemic foods and will support organ systems routinely damaged by diabetes. Press here for more on an anti-inflammatory diet and anti-inflammatory supplements as well as inflammatory foods to avoid. In short, follow the tips for a healthy balanced diet. The bottom line is that the typical Western diet fuels rock’n roll blood sugar, obesity and insulin resistance – the tinder for Type II Diabetes and its complications. Couple with little or no exercise and the numbers of those with diabetes and diabetes complications go through the roof. 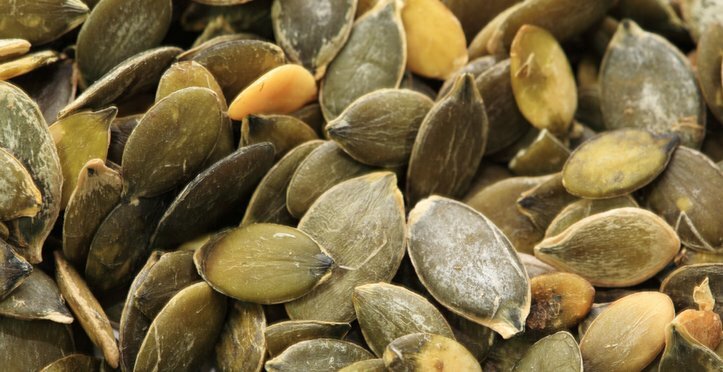 Seeds and nuts provide healthy fats that help combat diabetes and blood sugar problems. The above is why diabetes diet information is so important and why we should all be aware of diabetes diet information for our own health and those of our loved ones. In light of all of the above, here are 12 tips for preventing, halting and reversing diabetes. Avoid highly processed fare in favour of whole unprocessed foods with no added sugars or fiber removed. 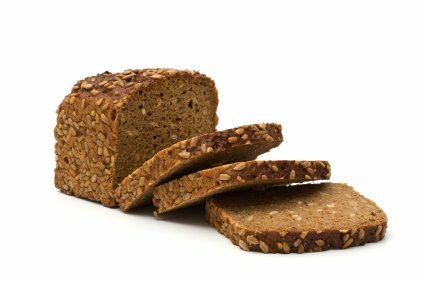 Especially, nix refined carbs like white bread and sugar-laden baked goods and sweets. These are generally nutrient and fiber-depleted. Refined foods containing added sugars or processed grains stripped of most nutrients and fiber can overwhelm your metabolism. Stick with carbs from whole veg, fruits and grains, from which none of the fiber or original nutrients have been removed or destroyed. 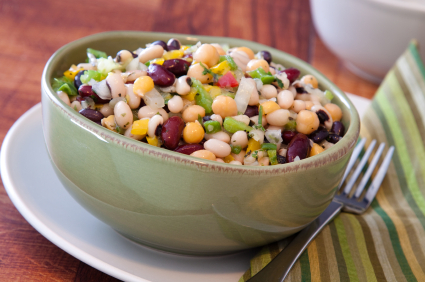 Beans, vegetables and whole grains are great choices. Quality of Carbs and Fats Matters More than The Quantity when it comes to Preventing or Managing Type 2 Diabetes - A review of many studies published in June 2014 issue of The Lancet has concluded that diets rich in whole grains, fruits, vegetables, legumes, and nuts; moderate in alcohol ; and lower in refined grains, red or processed meats, and sugar-sweetened beverages reduce the risk of diabetes and improve glycaemic control and blood lipids in patients with diabetes. Aim for low glycemic foods and a low glycemic diet that don’t rock the blood sugar boat. You can achieve this by consuming mostly foods containing healthy fats, protein and fiber, all of which have a neutralizing effect on blood sugar. Press here for more on picking low glycemic foods and low glycemic diets. High fiber whole grains and legumes are key to fighting diabetes - Make sure you include in your diet. Consume adequate fiber found in plant foods fruits, veg whole grains, legumes, nuts and seeds. Remember fiber is not found in animal products so you’ll have to look to plant foods to get your quota. Many communities following a pre-industrial diet, in which Type II Diabetes is unknown, consume up to 100 grams of fiber per day. The US government recommends adult women consume 25 grams of fiber per day and adult men 38 grams.Studies suggest that the typical American eats a paltry 10 to 15 grams per day! Beta Glucans in Oats, Mushrooms and Barley– Good for Diabetes and its Complications - Beta Glucans, polysaccharides found abundantly in oats, mushrooms, barley and yeast, have been found to lower blood glucose levels as well improve complications of diabetes like the HDL-LDL cholesterol profile, hypertension and poor wound healing. Make sure you include beta glucans liberally in your diabetes diet. Press here for more diabetes diet information on beta glucans and diabetes. Exercise regularly and often and build muscle. Exercise improves insulin sensitivity as well as shuttles blood sugar to muscles and other systems where needed and ensures it doesn’t get deposited as fat, especially around organs like the liver. Among other benefits, exercise specifically activates the AMP Kinase enzyme which blocks the conversion of glucose into fat. Some experts advise exercising in the morning or before meals to increase metabolism throughout the day. Increased muscle mass also improves insulin sensitivity, so strength train. Diabetes Diet Information Facts - Strong Muscles Can Lower your Diabetes Risk – Researchers at University of Michigan Medical School have found in a study of more than 1,400 children between ages 10 and 12 that those with the strongest muscles had a statistically lower risk of diabetes than their muscularly weaker peers. The study took into account the long recognized benefits of cardiovascular exercise to prevent diabetes. The study published in the March 2014 issue of Pediatric suggests that muscle building can help prevent diabetes independently of exercise. Maintain a healthy weight. Being overweight or obese is a major risk factor for diabetes. Studies show that losing 10% of body weight overweight can reduce substantially diabetes risk. Press here for more on the importance of calories and their connection to weight gain and metabolism. Eat regularly several nutrient-dense snack size meals, instead of one or two large meals with many hours between eating. This will help maintain energy and avoid hypoglycemic dips in blood sugar that may provoke cravings and binging. Don’t use this as an excuse to consume more calories than needed. Leave sufficient time between eating so your insulin has a chance to lower blood sugar and blood sugar lowers. Combine some fat and protein whenever you eat carbs. This helps maintain even blood sugar levels and counteract any glycemic spiking effect of carbohydrates. Nuts and seeds and beans are good foods because they contain all three macro-nutrients (fats, proteins and carbs); cheese or peanut butter with an oat cake; a dollop plain yogurt with your fruit; hummus with vegetables. Press here for more about low glycemic diets and low glycemic foods. Press here for more about healthy fats. Eat slowly and chew well. This gives your body time to register satiety and not overeat as well as absorb micronutrients contained in food. Raw or lightly cooked veg and whole grains require more chewing than highly processed food so take the time. The act of chewing triggers the digestive process which starts in the mouth with the release of enzyme-rich saliva. Press here for more on the importance of digestive enzymes. Eat a surfeit of brightly coloured veg each day and don’t forget your greens. You need the antioxidant vitamins and minerals, health-giving fiber and the many as yet undiscovered phytochemicals linked to lower disease risk including complications from diabetes as well as other inflammatory conditions. In addition to tasting great, fruit and veg have a strong anti-inflammatory effect important to avoid, halt or reverse the progression of diabetes and its complications. Press here for more on the importance of antioxidants as well as following an anti-inflammatory diet. Diabetes Diet Information – Anti-oxidants Can Fight Inflammation in Diabetes - A 2011 Korean study on diabetic mice showed that a cocktail of antioxidants including combinations of Vitamins C, Vitamin E and/or N-acetylcysteine (NAC) both lowered blood glucose levels and improved inflammatory markers in diabetic mice with kidney problems. This suggests consuming these antioxidants may help humans fight inflammatory kidney disease caused by diabetes. Don’t drink your calories, eat them. Stick to water and modest intake of red wine with food Avoid sodas and juices and other drinks with concentrated sugars, whether natural or added. Instead, eat whole fruit that retain all its original fiber and nutrients. See above about how chewing triggers the digestive process. Fiber-rich food also has more volume than liquid and achieves satiety better than drinking your calories does. Refined carb foods chockablock with added sugars and unhealthy fats like trans fats fuel diabetes and blood sugar problems. 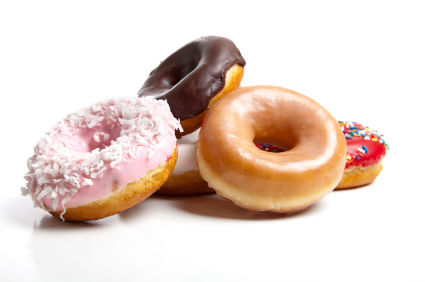 Avoid trans fats and damaged fats including overheated and rancid oils and their products. They damage metabolic health. For more on choosing healthy fats and avoiding unhealthy ones, press on Omega 3 benefits. In short, the best diabetic diet information is to follow the tips for a healthy balanced diet. Press here to read more about what diabetes is along with more diabetes diet information. Press here to read more about alarming diabetes statistics. Press here to read more about blood sugar testing. Press here to read about the best diets for Type 2 Diabetes along with more diabetes diet information. Press here to read more about low glycemic foods and balance blood sugar. Press here to read more about anti-inflammatory supplements.